The eagerly anticipated Tesla Model Y has now made its debut, rolling out on stage with Elon Musk at the Tesla Design Studio in Los Angeles on Thursday 14th March. Needless to say, it carries the same flawless design ethic of other recent Tesla models, bringing something completely new to the world of mid-sized SUVs. Of course, the Tesla Model Y will run solely on electricity whilst offering an incredible amount of performance, safety and overall usability. As one of the most exciting and logic-defying car makers of recent years, we expect the new Tesla Model Y to offer the unique combination of being cool, luxurious and eco-friendly. Like the Tesla Model 3, Elon Musk has declared the new Model Y will be the safest mid-sized SUV in the world, featuring many of the same safety elements including an extremely low centre of gravity and automatic breaking and collision avoidance systems. Tesla are expecting the new Model Y to receive similar ratings to the Model 3, meaning four of their models will own the top four spots in safety testing. If you’re looking to hire a family car in the UK, the 2020 Model Y has got to be up there for its safety reasons, with Tesla suggesting it will have one of the lowest risks of injury in a car in the world. Alongside safety, practicality is also key. The Model Y has about 10% more space than the Model 3 and will be able to seat up to seven passengers comfortably and has tons of space in the front trunk for luggage and everyday essentials. This prestige hire car will be perfect for businesses as well as families and large groups of friends, offering safety, space and ultimate luxury in one neatly wrapped package. After one full charge, the Tesla Model Y will be capable of driving up to 300 miles before needing to be recharged. Alongside its wide range, its extremely low centre of gravity doesn’t just help to improve the overall safety, it also leads to great handling for a comfortable and enjoyable drive. Of course, performance has not been forgotten, the new mid-sized Tesla Model Y will be able to accelerate from 0-60mph in just 3.5 seconds and has a top speed of up to 140mph which is even more impressive considering the amount of space and safety features it will provide. Four different ranges will be available to buy, each with different features to help improve the performance even further for a car which fits you and your needs. Like the model 3, the Model Y will feature a stunning panoramic glass roof and high seating, allowing all occupants to enjoy a fully immersive experience once driving. 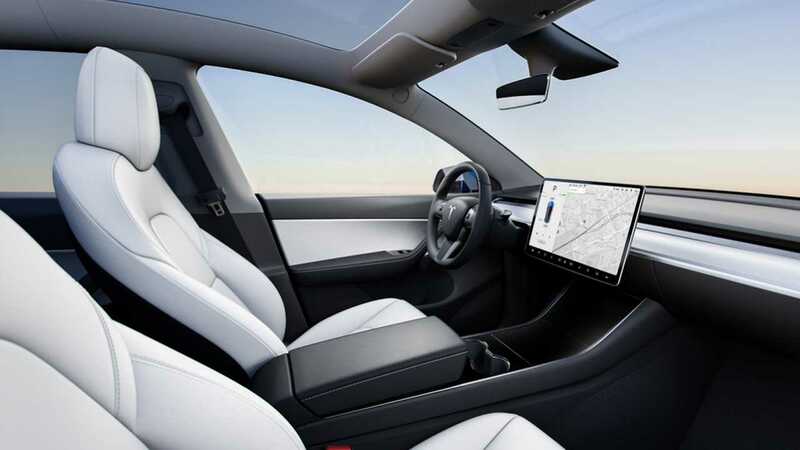 We also expect to see a similar interior to the Model 3, featuring beautiful, luxury materials and the very best in modern technology. Completing Tesla’s current naming scheme, the Model Y will follow Models S, 3 and X with the car set to hit our roads in Autumn 2020. The Model Y will have a luxury price tag starting at around £36,000 and we’re sure every penny will be well spent. As well as this release, Tesla are expecting substantial software upgrades which will allow self-driving to be in place by the end of the year so, of course, the Model Y will keep improving in functionality even once its completed. We’re yet to hear of any further Tesla releases to follow the Y but as always, are excited to see what the new, innovative marque thinks up next. 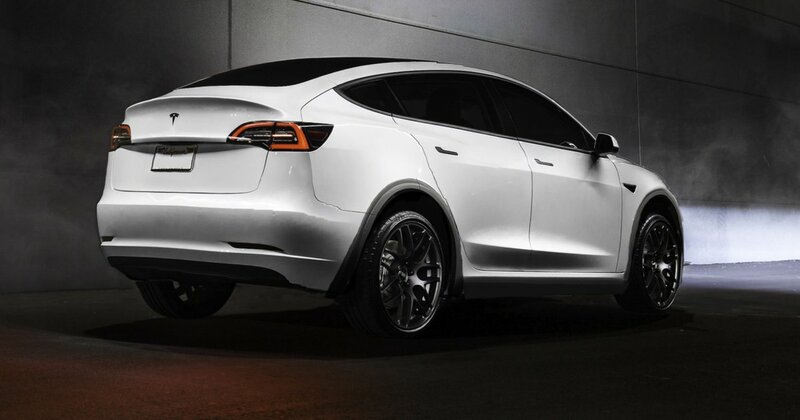 With our fleet of Tesla hire cars ever-growing we are sure to be amongst the first welcoming the Tesla Model Y to the UK upon release in Autumn 2020. Perfect for families, day-to-day use, road trips and long-haul drives, get in touch with us at Starr Luxury Cars to secure your spot and be one of the first to drive the brand-new Tesla Model Y, set to be one of the best mid-sized SUVs available for hire in the UK. If you can’t wait that long, we also have some of the most popular Tesla models to rent right now alongside the very best current SUV marques and models.